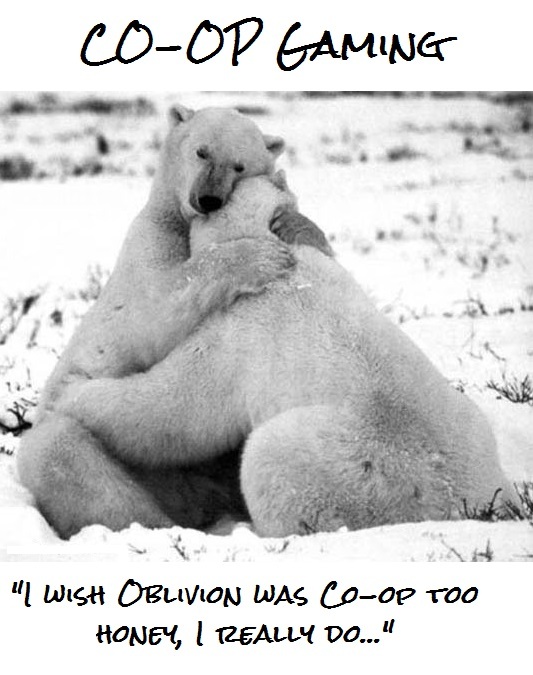 doesn’t love co-op? Finding a good co-op experience can be far and in-between and so we have listed here some of our favorite co-op games and a little bit about each of them and what makes them great! His Thoughts: Diablo II expands on the great experience of the first and delivers one of the best ARPG experiences available on the PC. 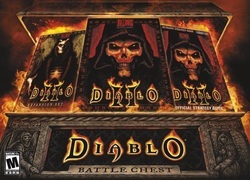 Diablo II has everything you want in a great ARPG while still allowing for single player use offline as well as mods (which are priceless) This game with itsexpansion are longer that Diablo 3 in length (by far) and do not have a “pay to win” plugged into the game. 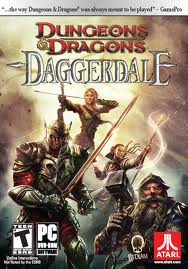 If you have multiple computers at home networked together this game is a must as anyone can play it and it is enjoyable to play for RPG experts (as there is depth in the game that allows for deeper quests and game play) but simple enough that your wife can plug along. 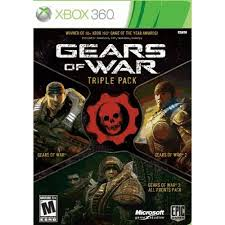 This game also goes down as one of the greatest CO-OP experiences people can experience with actual champions that feed off of each other and synergize off of each other this game delivers a CO-OP experience that very few compete with. 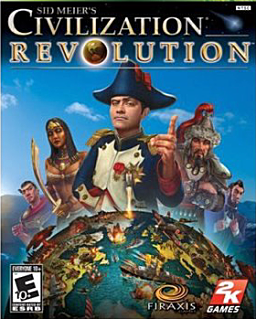 The fact that this game sells for extremely cheap (vs the 60 bucks of newer games, including Diablo 3) this game to this day is still a better buy than others. Other mods like the PLUGY 10.0 mod make the single player of this game just as enjoyable as the online at Battle.net. If you have not had the pleasure of Diablo II yet, don’t delay hours of excitement any longer, get this game today! Her Thoughts: Diablo II was my favourite out of the series because of the fun loot system and the different characters you can play. The downside is that it is on the computer... Diablo III was have on both the computer and XBOX and playing it on a console makes it that much better! It was fun playing through with Micah trying to get all the good loot- it was funny because in Diablo III we would be playing and I kept getting gold items (best in the game) while Micah had to play for hours before he even got one! These games are good because they are not difficult and usually have a good story. Her Thoughts: This is a great game for those with less developed gaming skills! It is not difficult and the fact that you can play it with 4 people makes it fun! The best part is collecting the cute animals that you can have as side-kicks that give you different boosts to your stats depending on which one you choose! His Thoughts: One of the best CO-OP experiences money can buy. This is great for guy and gal, in fact the best since Diablo II for bringing people together. The simplicity of it is enough to not lose your “not so savvy in video games” wife while still having enough hidden content and depth to have the serious players going for HOURS on end. Best loot system since Diablo- even better than Borderlands (CLEARLY better than BL2, and still better than BL1) This game is a tower defense RPG that has you defending your crystals against multiple waves of increasingly difficult enemies. Loot drops and can be equipped in multiple slots as they give you helmet, weapon, shoes, armor, etc…Loot is random based like Diablo for maximum addictive treasure seeking! I can’t say enough about this game that came out of nowhere- get a copy of this game and play it! The co-op fun expands on just two and allows for up to EIGHT PLAYER CO-OP! This game has it all folks… Get the copy on the PC through Steam so that you can get the “Master Collection” and give yourself all the extra goodies; you will not be disappointed! His Thoughts: I actually liked the 1st game better- THERE I SAID IT! Actually my wife liked the first better as well… The storyline (which everyone says gets better in the 2nd) for us actually got worse! They spend the entire game killing off everyone from the first game while not getting facts straight from one to the other (such as Bloodwing being a male in the first game and all of the sudden is a female in number 2… yikes!) That aside I am a strong believer in “sometimes less is more” when it comes to storylines. Gear of War 2 was no different for me. The sparse storyline in Gear of War 1 was far more gripping for me than the “too much story” that was found in Gears of War 2. The guns/stats/and leveling up was complicated from Borderlands 1 to 2 as well which means your wives will have a harder time keeping up. Both games are FPS that are heavy in their RPG elements; leveling up, heavy randomized loot grinding, etc. 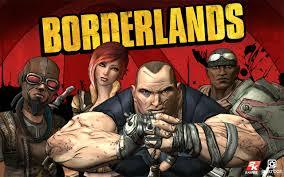 The Claptraps and sparse storyline in Borderlands are priceless, but are not why you keep playing. You keep playing for the loot and the level. Borderlands 2 attempts to go Shrek 3 (every line has to somehow be funny… trying way too hard to be funny and by so doing making it less enjoyable) with its storyline but still keeps the leveling and heavy randomized loot grinding. This is also a four player CO-OP game, which allows for maximum fun! The game also comes with the ability to system link which GREATLY increases its appeal and how much we enjoyed it; Ashley and I have two networked tv’s side by side. If you can network two tv’s and have two xbox’s you need to get this game! Her Thoughts: Both Borderlands games were tons of fun! Great co-op.... The second game did not have a very good story and the add on's were very repetitive. It also tried way too hard to be funny. But overall both games are fun and easy to play. It's great to keep playing and picking up items to try to get the best gun possible! His Thoughts: This is a zombie attempt at Borderlands. More serious, less funny, and a lot more “M for Mature”. You will find yourself in intense hand to hand combat with the undead! The leveling up wasn’t quite as enjoyable as Borderlands was and the loot wasn’t varied as much as Borderlands which are the only reasons why I gave Borderlands 0.5 higher in it’s enjoy ability for myself. Other than that this is a pretty straight forward zombie killing game- knifes, swords, homemade grenades, and M16’s make this game interesting and fun. This game also has up to 4 player CO-OP (awesome!) and system link (YEAAAH!) which means it is even more enjoyable! This game was priceless just to see my wife giggle when she threw her homemade grenade into a group of undead and turn them into pieces. I turned to her multiple times while playing to make sure she wasn’t grossed out only to find her smiling or giggling uncontrollably. She also was funny when she was dying and getting so upset! I have never seen her get so upset over dying in a game before! Too funny! His Thoughts: This game is great only because there are no other good competitors on the market. The game is like Sim City but for civilizations and the world. (and you have to build units to defend and attack cities!) This game is full of glitches and the coop only allows for you to have 5 people total playing at once which means 2v3 or 2v2v1? Really stupid… If the glitches were fixed and the game expanded allowing you to have at least 2v2v2/3v3 battles it would be greatly improved. As it stands you basically can beat a game session with only one city (never the case in the older Civilization games which required you to have at least a good 10+ cities before you stood a chance at victory) and the difficulty on multiplayer is locked so that you can’t make it more difficult, which means it is easy enough a hairy ape could win without a banana break… meaning it is easy… Frustrating since this game could have been a 5/5 game so easily had it just expanding in those regards! Allowing you to adjust game difficulty (not making the AI CHEAT but just making them more difficult-ie. giving them a handicap on how fast things are built) for multiplayer, allowing for world customization like in the old games such as choosing the size of your world (small/medium/large/Xlarge) or the condition of world (ice covered, small islands, tropic, etc) and eliminating the many glitches in the game would have made this an EASY 5/5. As it stands you will have to deal with those issues and will get a 3.5/5 game! His Thoughts: Great FPS co-op games for 2! You can only play these games with 2 player co-op, but they are well worth it. If they had system link they would be priceless! They do not have system link however so you must use xbox live or split screen. The game is an over the shoulder FPS that allows you (as you are mercenaries) to buy and upgrade and personalize your weapons that you use on mission. There are a lot of coop actions and elements in this game, from having to help each other up on to ledges to going “back to back” and firing bullets at everyone around you. The storyline is simple, but not bad enough to stifle the game play, and the gameplay is top notch. If these games had system link they would easily be pushing 5/5! 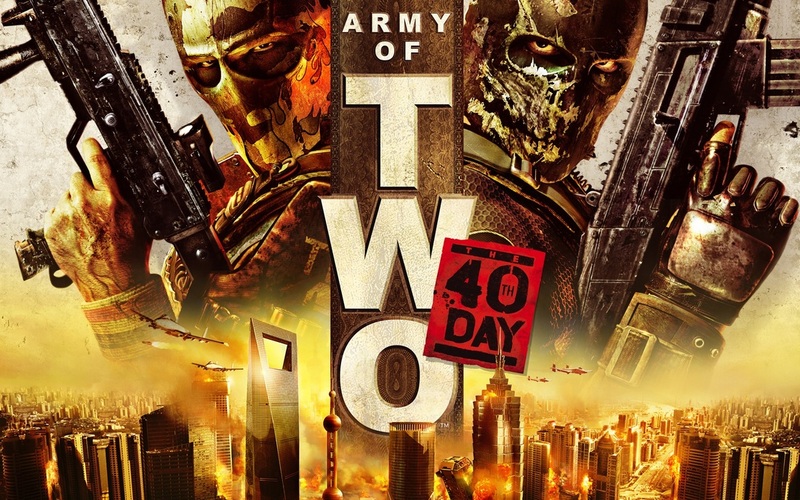 Her Thoughts: I did not really like Army of Two 1 but the second one was great! I loved it because a lot of times you have to work with your partner to move around (like open doors or hop up somewhere high) and sometimes you have to kill people at exactly the same time. Very fun... I also loved how a certain points you have to make decisions and at the end of the game it shows you what happened because of the decisions you made. I really like this one! His Thoughts: Getting a lot of bad press because of the early lag problems with online play, this game was never given the chance that it deserved. 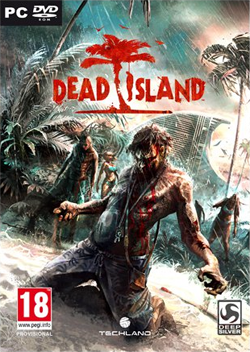 Not played for its storyline (as there really is none…) the game is played for its co-op play and evolving missions. You can play as one of multiple classes in the game from soldier to medic, and they all have their own responsibilities during the missions. Medics obviously heal, while soldiers can restock your ammo and so on with each class having its own abilities. A mission will have a side that is attacking and one that is basically just defending. The attacking team needs to fulfill their objectives before time runs out while the defending team just needs to keep them from doing just that. Example being 1. Hack a door (which only the “operative” class can do) 2. Plant a charge on safe (only “soldiers” can plant charges) and 3. Return contents of safe to boat (anyone can do this). The character you play as is 100% customizable allowing you to make him look however you wish, which is fun to say the least. Your guns can also have mod’s to your liking to compliment whatever class you choose. 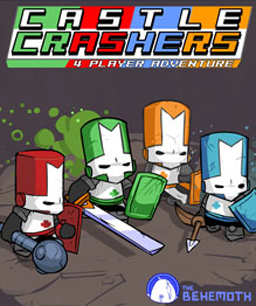 This game allows for up to 8 players coop vs 8 bots (computer controlled enemies) or pvp 8v8. Sadly this game does not have system link which would have upped its value. The game needed a bit more customization (allowing you to play as a woman would have been cool?) gun mods and gun weapon skins. The game also needed a tune up on its guns and scopes with how they acted in combat as some were underpowered and never got used. (sniper rifles way underpowered…needed to be fixed and scopes needed a tune up) If they had done that this game would have been a 5/5 for me as the storyline wasn’t why I was playing a tactical RT FPS. Her Thoughts: This game is quite different from others I have played. There are different classes you can choose to play from and you help others on your team in different ways. For example, if you choose to a medic type you can heal people or the soldier class can pass out ammo to their team when they are running low. Quite a unique game, worth picking up if you have someone to play with! His Thoughts: Not much to say about this game as it didn’t excel in anything but didn’t do anything bad. This is a 4 person co-op RPG adventure that has you leveling up and loot finding in a DnD world. There were 4 classes to choose from (a minimum for games like this) and you could put about 20+ hours into it (a minimum for games like this) and had a minimum storyline/leveling up mechanism/loot to find. Bottom line is that this is a weaker version of Diablo. 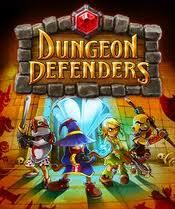 Still worth giving a shot to if you like the genre and have played the games like Diablo 2 to death! Her Thoughts: This game was fun but not overly impressive (I'm finding it difficult to remember it actually). Pretty typical dwarves, elves and the like. It wasn't that long either- probably would have been better if it had more to do. Her Thoughts: This is a small, cheap game that may keep you busy for a few hours! His Thoughts: This game is co-op gaming at its best… Two player maximum you either play as Lara or her new Aztec friend Totec. Easy navigation that consists of the left analog while shooting your weapon the right analog. 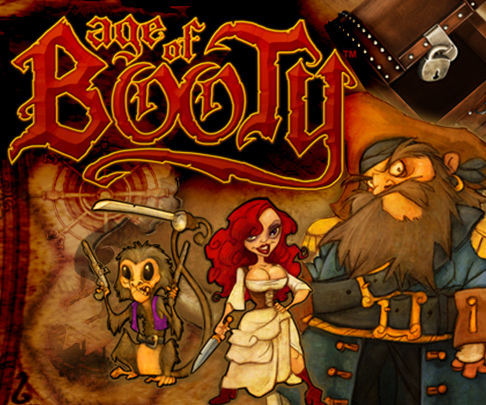 The game has countless puzzles that can only be solved by cooperatively using each of your individual abilities to get to the treasure. The games also gives you rewards for fulfilling requirements in each level which makes replay of a level worthwhile and fun as you try to accomplish said requirement so you can get that shiny new shotgun or whatever! The game seemed to be a little bit on the short side for the price they were selling it for or it would be a 5/5 for me. A good solid expansion that doubles game play would have made this a no brainer 5/5. 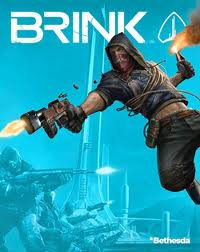 As it stands this game is as coop as they come, you will not be disappointed in trying this game out! Her Thoughts: This is one of my favourite games because of the fantastic way it gets two people to play together. You actually have to use each other's abilities to complete the different puzzles and quests. Wish it would have been a longer game, once you finish it you feel like you were just getting started! His Thoughts: Worthy to be on this list because of all that it attempted to bring to the table in a single FPS, WoW brought you 4 player co-op campaign,multiplayer, as well as “zombie mode” which was also 4 player co-op. Zombie mode alone is not worth the coop price tag of a $60 COD game as it has a high degree of difficulty and you never can actually win. However this game provides a decent 4 player co-op campaign that is interesting enough and long enough to make it worth it in the co-op world. Tack on some extra multiplayer with the ability to system link and it is a worthwhile history lesson. The graphics in the game are not horrible (in fact the graphics in the COD series really have not gotten better since COD4…) and the game play is also so-so. Some glitches like bullets not being able to travel through leaves makes the gameplay nothing ground breaking. The lack of any real AI in the COD games makes the campaigns turn into “run from the thousands and thousands of spawning grenades while hiding from the sharpshooters” and that keeps any of them from really being great co-op games. Going from that to zombies just made sense, they didn’t have to UPGRADE the AI very much to get them to “zombie” intelligence ;) Other than that a pretty standard co-op fair that is middle of the road kind of stuff. 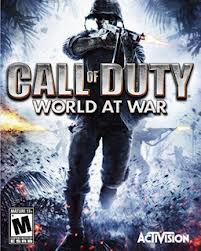 Her Thoughts: This is the only Call of Duty I have played. I have to admit the graphics aren't great but I like the story because it is based off of history. Fun to play but not the best game (or most unique) in the world. Her Thoughts: I absolutely love this series because of the great graphics and super good story! I would watch Micah play it as if it were a movie. I find it a little hard to play myself, but it is such a good game! I love the different modes they have (like horde, capture the leader, execution, wingman...) When it came out it really blew the genre away because of the unique things they added! I love the lancer, the gun that has a chainsaw attached to it.... hehehe makes me laugh. Play it or at least watch someone play! His Thoughts: This game is what “Nazi Zombies” of COD fails to be; an amazing co-op zombie killing time! The game is 4 player total co-op with you playing as one of four survivors who are trying to make it from “safe house” to safe house and then ultimately to safety. These games are FPS that are fun to play, will make you laugh shout and groan as you and your friends try to claw your way to the next safe house. The end of each “scenario” has a “Alamo-like” standoff where you must hold of waves of enemies while you wait for a boat to show up, a chopper to show up, etc etc, which is a blast. At the end game there are also great stats that tell you everything from how many zombies were killed to who revived who the most. This game is easy to learn how to play and fun to master, great learning curve for both men and wives! 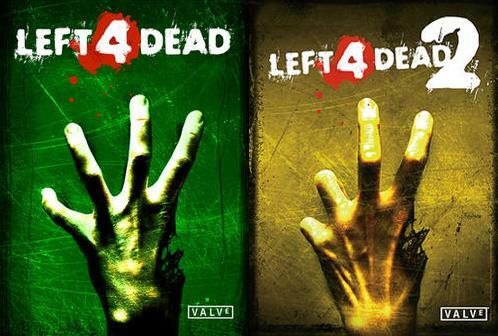 Her Thoughts: Left 4 Dead (both one and two) is a great multiplayer game! It is not too difficult and is just pure fun (who doesn't like shooting zombies?) I like how the story had different "chapters", making you feel good for accomplishing each one! Definitely recommend this one! His Thoughts: These games had so much untapped potential. 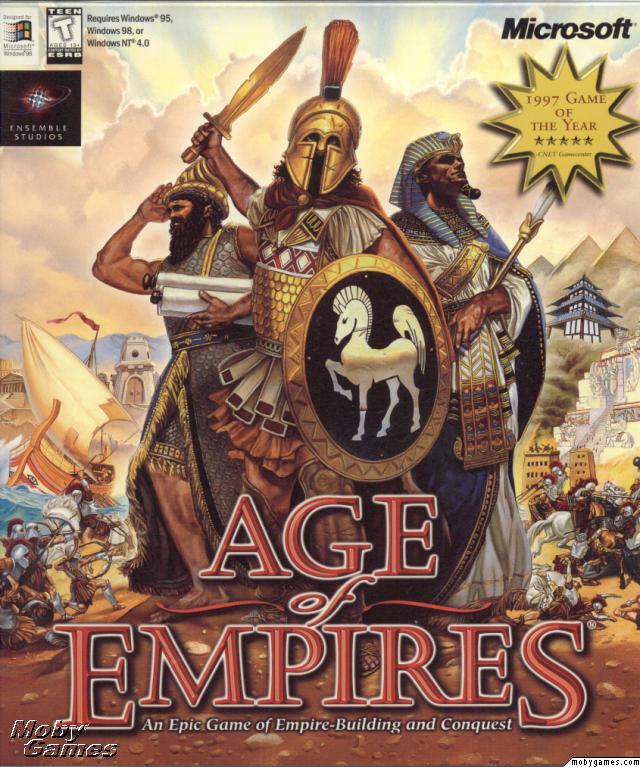 Not a bad game to play if you can network two pc’s together they lacked depth and replay as it was the same blah storyline that slowed down over time. Can’t beat old school DnD though with their Ranger/Wizard/ArcaneArcher class combination creations that you can pull off… The intelligence is gratified for playing this game but the game play does not follow suit. The 3D graphics also did not age very well and thus will be a let-down for some. 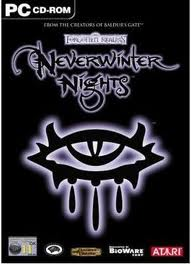 (NWN more so than NWN2) Never the less this game allows for DnD great level customization as well as any mods that you can find online- some of the mods that we use improve the game GREATLY. Highly recommend at least grabbing a henchmen mod before trying this game. The gameplay is slower and really the only real driving force in the game is “the level!” which become further and further apart until you can’t wait to finish the game! NWN 2 improves on all of said above and is a much better all-around better game because of it. If you are going to give the series a try start with the 1st because if you start with the second you won’t finish the first! Hahaha! Her Thoughts: For some reason I just couldn't really get into this game... Maybe it is a little to advanced for me. And the fact that it is a computer game makes it not as comfortable to play compared to sitting on a couch playing a game! The story was pretty good but just couldn't get into it. experience is easier- and FPS’s can and WILL be challenging the first times playing! You will be running into walls and falling off ledges and doing some dumb stuff! Halo has a great learning curve as you have plenty of room to explore and move and get used to the FPS world, and don’t have to worry about “FALLING DAMAGE” that was added into latter FPS for maximum pissed off and “THIS IS STUPID! I die from falling off two steps? STUPID!” affect… These games are based on an amazing storyline that involves super human soldiers known as “Spartans” and also have amazing soundtracks in each and every game. 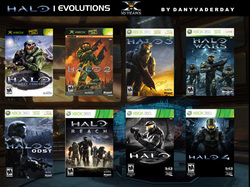 Bottom line is that these games are and will forever remain classics in the coop world long after other FPS’s have died away after their online crowd has moved on. 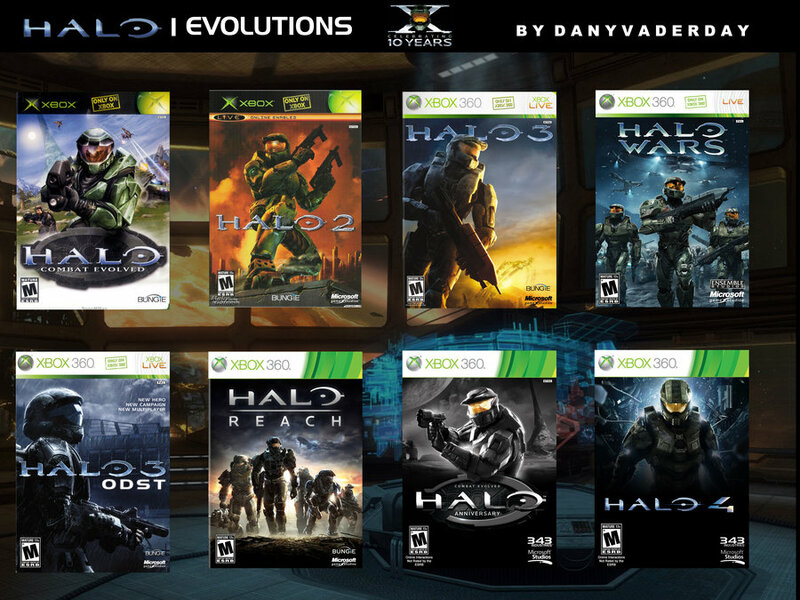 Play Halo. a shot. If you manage to get 4-8 pc’s networked you will be in for a treat of your life! Enjoy! Her Thoughts: We starting playing this game together when we were first married so it will always remind me of our tiny apartment in Winnipeg :) This is a great game where you build up your little village with villagers collecting food, chopping wood and mining gold/stone. You have to work fast to build an army because others will come and try to take you over! This real time strategy game is fun but it will make you practice your patience!